We’re back for another instalment of our MAHE Board Member Interview series. Today we’re talking with, Diana Mager, President of the Manitoba Association of Home Economists. Work: I am a Partnership Implementation Officer for the Keeyask Generation Project at Manitoba Hydro. Keeyask is a hydroelectric generating station that is being built at Gull Rapids on the lower Nelson River in Northern Manitoba. I help manage the business partnership between Manitoba Hydro and four partner First Nations. I’m proud to lead a Professional Home Economics Action Team identifying competencies for the practice of home economics, which includes Human Nutritional Sciences, Family Social Sciences, and Textile Sciences. One of our priorities is working with the University of Manitoba to build these competencies into a pathway for human ecology teacher education and other related areas of high demand employment. 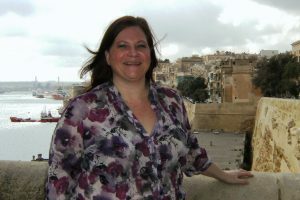 I had the honour of presenting this innovative work at the International Federation of Home Economists (IFHE) annual conference last year in Valletta, Malta. Connecting with people who have the same passion for food, family and community well-being, and knowing that I belong to an association that is responsible for maintaining high standards of knowledge, integrity and ethics of its members to ensure the public receives the services of proficient and competent home economists. Allow yourself time to build a resting bench on your life’s pathway – a space that allows you to reflect on past accomplishments, gives you time to appreciate where you are now, and the opportunity to envision where your journey might lead! For more, please check out our past interview with Heather Deibert.